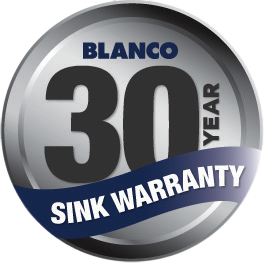 The Blanco Single Bowl Inset/Flushmount Sink with Overflow SUBLINE500IFK5 comes with Designer wastes, Rear waste position, Durability, Maximum Bowl Size. The appeal of an exquisite combination. A symbiosis that delights more than just the eye:naturally appealing SILGRANIT PuraDur combined with sleek stainless steel. ‘SteelFrame’ stands for the exceptional material mix of granite and stainless steel thus forming a perfectly matching unit. As such, the SILGRANIT bowl with its pleasant, silky-stone texture has an extra-flat, modern stainless steel frame and ideally showcases the innovative material mix. The SUBLINE500IF SteelFrame with its highly sophisticated technical implementation has a thoroughly filigree look. The exceptional material combination of the BLANCO SUBLINE500IF SteelFrame matches the aesthetics of BLANCO ovens, cooktops and mixer taps. The BLANCO SUBLINE500IF SteelFrame opens up a wide variety of planning possibilities as the bowl can be combined with worktops of all colours and designs. Thanks to the IF rim BLANCO SUBLINE500IF SteelFrame is ideal for installation in laminate worktops. 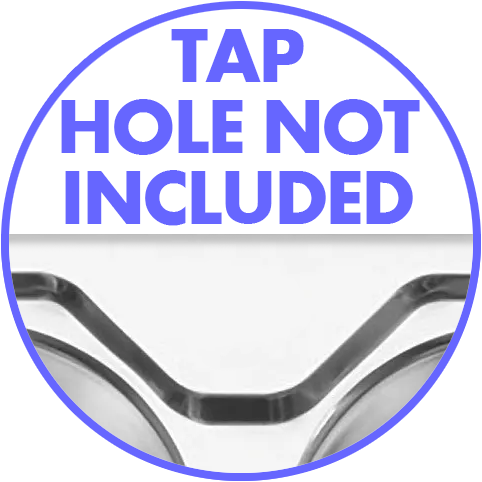 The IF flat rim is also seen to excellent effect in flushmount installations in stone or glass worktops. Experience a composition that sets BLANCO apart. Whether glass, stone or laminate – installation is not complicated and possible with all standard worktop thicknesses. The straight lined bowl of BLANCO SUBLINE500IF SteelFrame is particularly comfortable. With a width of 500 mm and striking corner radii, the bowl is generously sized and makes work easy. Custom Optional Accessories further enhance the functionality of the bowl and turn the sink into a versatile, multi-purpose food preparation area. The stainless steel multifunctional colander and glass cutting board can slide across the entire width of the sink to perfectly support activities at the most important workplace in the kitchen. The stainless steel basket can be positioned freely inside the bowl or on the bench top for ease of use.